MyTriniGrocery Tunnock's Caramel :: Enjoy Tunnock's Caramel! Tunnock's Milk Chocolate Coated Caramel Wafer Biscuit, is a bar consisting of five layers of wafer, interspersed with 4 layers of caramel. The bar itself is coated in chocolate, made from condensed milk. The wafers are wrapped in red and gold coloured foil. Dark chocolate wafers, wrapped blue and gold, are also available. An individual wafer is devoid of a sell-by date, though the multipacks do have one. However, in many small outlets they are available separately. 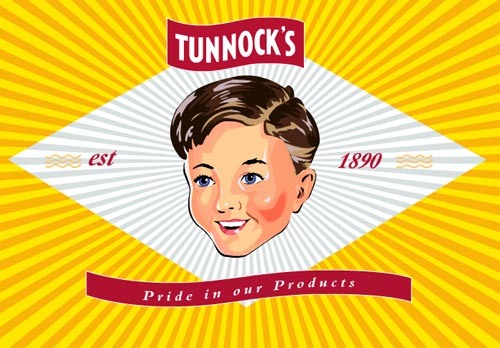 The wrappers of the milk chocolate version bear the wording "more than 5,000,000 of these biscuits made and sold every week"
Tunnock's Caramel is a very popular snack in Trinidad and Tobago. A favourite amongst all ages, these are guaranteed fresh. Enjoy your Caramel today! Heerlijke traktatie uit Schotland !! Click the button below to add the Tunnock's Caramel Wafer Biscuits 4 Pack to your wish list.